Mooney Mountain Guides has been a long time user of Mammut equipment and clothing. In my opinion what Mammut produces matches very well with the rigors of guiding year round. Year after year I reach for the same gear with confidence that it is going to work every time. Although ropes and clothing have been my primary focus, I began using their footwear as well. The running shoes have been one of my favorite pair in years. When in the field I enjoy talking about gear with guests and other climbers I meet at the crag, and I feel great about promoting Mammut. Earlier this November while climbing with a long time guest, I noticed he was wearing a pair of Mammut approach/hiking shoes (Mammut Ridge Low GTX). I asked him how he liked them, which produced a long conversation on how he wore them for the majority of his recent Appalachian Trail through-hike. He also said, “I’m never going back to any other shoe.” With such awesome feedback I asked George if he would mind writing a short review on the shoe for me to post on the blog. He obliged. Below is real, unsolicited, unedited, customer feedback on a quality product. Thank you to George and Mammut! In 2015, my son Ian and I thru-hiked the Appalachian Trail. We went southbound, starting at Katahdin on Memorial Day and reaching Springer Mountain in early December. I went through 4 pairs of boots in the process. My first pair, traditional hiking boots, did not make it our of Maine before they literally fell apart on me. To be fair it was a wet and cold traverse of Maine. I don’t think my feet were dry for a month. The uppers literally rotted away. As a side note. I’ve done some winter hiking and have “post-holed” in snow before. However, I has never experience post-holing in mud. Unlike snow, the mud literally tries to pull your show right off your foot. Extricating yourself and you shoe is a slow and careful process. I switched to a pair of trail runners in Rangely, ME and wore them until Massachusetts. They were not the best, but convinced me that a lower, lighter shoe had a lot of value. Another pair of trail runners got me to Pennsylvania. While taking a zero day in Hamburg, PA, we bumped into a fellow hiker, trail name “OneStep”, who had been waiting 4 days for a pair of Mamuts to be delivered. He swore that they were the most comfortable hiking shoes he had ever worn and were well worth the wait. He let me try them on, and I was sold. I ordered a pair and had them delivered by the time we hit southern PA. I wore them to the next 1,100 miles to Springer. I’ve decided I’ll stick with them for all of the future. I’m not sure I would wear them in the dead of winter, but for all other seasons they are wonderful. To me, above all, climbing is a pursuit, a lifestyle that is best shard with others. For generations of climbers, skills have been passed down through mentorship. The 50’s, 60’s, and 70’s did not have a lot of climbers. Climbing was not apart of the main stream media. Gear was primitive and hard to come by. Climbing was better referred to as an art-form, than a sport. The equipment of the day closer to a hammer and chisel, than to the space age equipment of today. The 80’s brought on the popularity of sport climbing, and as a result climbing became slightly more accessible to the average joe. The 90’s and 00’s made this even more true with the increased popularity of climbing gym’s, ABS, and mainstream media. It is awesome, especially for a working mountain guide, to have the pursuit of climbing be more popular than ever. However, a part of me feels that the most special part of this life, the mentorship, has been, at least a little, diluted down by the main stream. The main-streamness of climbing has led many young/new climbers into believing that you can learn all you need to know from the gym, that, if you are strong you can go anywhere, and its every climber for his or her self. There is an individual who I met this ice climbing season that has defied the trend. A relatively new climber, but a lifetime lover of wild places. A passionate people person, Stephanie has created her own climbing community by combining the powers of the mainstream with the magic of mentorship. 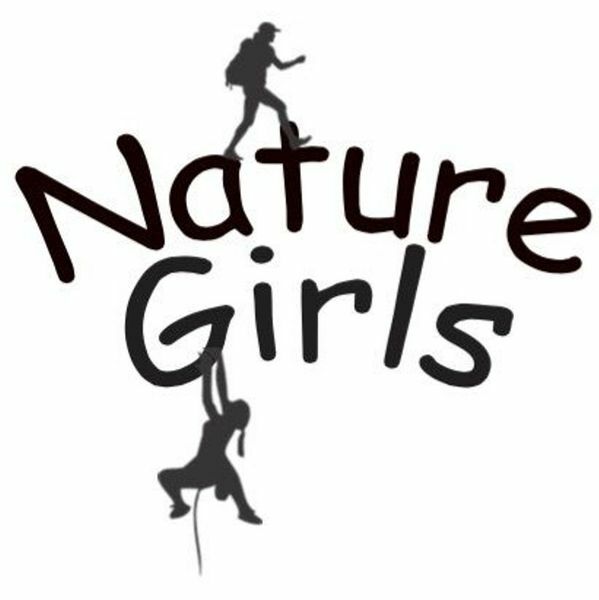 Nature Girls is a “Meet Up” group with over 600 followers! Just one example of how modern times are changing the climbing world. Stefanie is the boss and she has done some amazing work this year. On top of her own busy life and climbing goals, she has taken the time to run two ice climbing trips with Mooney Mountain Guides. I’m not sure why the guiding gods were so good to MMG by allowing us to work with such a great group, but I am grateful for the opportunity. I can’t say enough positive things about this group. Women from all walks of life, getting together to climb frozen waterfalls. So cool! The most inspiring aspect of the Nature Girls is their drive to learn more about the sport, and not in a rapid way, but how they enjoy the process. Through Stefanie the Nature Girls are seeking guidance to help push their limits. I can’t say the MMG is sensei to this great group of gals, but I am honored to have helped provide a little guidance along their way. My hope is that MMG can help Stef provide amazing climbing experiences to her followers, and push them in the direction of seeking a climbing mentor. I so look forward to many climbing trips with the Nature Girls on the ice and rock. I think there are many great experience to come. I must send out a big Thank You to Stefanie, for being the driving force behind Nature Girls and all the have accomplished. Rock, ice and mountain climbs have kept my interest for over thirty five years. To say the least its my ultimate passion in life!!! The movement over the stone or ice requires balance, flexibility, power and focus. The mindset is complete attention to gain control over the extreme situation. The motion is fluid along the path or climb. These are the three M’s that I try to achieve each time I head to rock face, the ice line or the mountain path. Repman is back on the mountain. After a needed break from the activtity he is back into shape and ready to climb. He bought family along to join him on this trip. His daughter Catharine and friend Nicole came for their second time and it looks like they are both hooked on the sport too. Steve leading the way up Whitehorse. The three inline Steve, Catharine, and Nicole climbing the steep slabs of Whitehorse. Success the team of five on the Whitehorse summit. Repman viewing and coaching Catharine at Rumney Rocks. Catharine to the top on the steep crack route at Rumney. This was Steves fourteenth summit of the Mt Washington. Photo of him on the alpine gardens heading up. A strategic partnership – Steve and Art on another amazing adventure together. There you have it – Mt Washington. Finally springtime has made the appearance in the lower elevation areas of the White Mountains and most climbers are ready to put on the rock shoes in search of a warm dry climb. Mt Washington on the other hand is Easing the Grip ever so slightly. The snow pack is melting out at the parking lots (2000 ft) and the temperatures on the mountain have moderated but even so once you venture onto the mountain its a snowy white world all the way to the summit and its May 1. Road into the cog base station and towers completely covered in snow and ice at the top!! Kelly has a Rainier climbed planned for this July. She has been working hard at fine tuning her skills in the mountains. This trip was planned for additional work improving overall fitness on long tough climbs, to refine footwork on snow and to gain comfort on the steep descents. Conditions for Kelly’s goals were perfect on the mountain. We planned for overcast the entire day – but the skies opened just enough for great views of mountains and the valleys below. The summit cone was entered encased in snow. Quite casual on the summit with a slight breeze and 25 degrees. Kelly’s 2nd time on top of Mt Washington – Congrats to her for a great climb. The descent was steep and slick. Kelly worked on the plunge steep and other moves to gain comfort while facing the downhill line. The following day Kelly and I climbed Cannon in under three hours and our descent was less than and hour. Kelly improved in all areas on this two day trip – she was able to Ease her Grip in the mountains. Alex and Erik just had what may have been the course of their winter. Ski guiding is a relatively small segment of our business, and that of the NH guiding business in general, so when we get a day of this work, let alone a long weekend of it we’re excited. We’re currently trying to expand our ski programming to get more folks introduced to the world of back country skiing. The skiing and techniques required is not overly burdensome, but getting instruction for your first day out will greatly quicken the learning curve. As you get into the world of Ski Mountaineering their is a a slew of technical skills that need to be refined in order to participate safely. This group of three was curious about getting into the world of back country and ski mountaineering, so we designed a three day curriculum to introduce them to the techniques and skills required. On day one we went over gear and clothing requirements for being in the backcountry. We practiced transitions ( moving up hill to downhill, which requires a number of equipment changes) and beacon searches in case of an avalanche burial. On day two we practiced moving as a rope team, dug a snow pit and experimented with a number of stability tests, and what these testes tell us about the relative avalanche safety. On day three we combined many of the formerly learned skills to ski Hillmans Highway in Tuckermans Ravine! The weather kept us from covering all that we wanted, but that in its self is a great learning experience, and gave us ample opportunity to address not only surviving but thriving in those conditions. If you’re getting tired of shredding groomers and riding lifts, or want to take your skiing to the next level, get in touch with us to book a custom back country ski day. NH is blessed with a wide range of terrain from historical backcountry ski trails at lower elevations, to big mountain lines in alpine terrain. The prime season for the bigger objectives is fast approaching! Twice a year Mooney Mountain guides offer’s and exceptional trip, ascending Mt Washington with an overnight in the observatory. This trip is great for those who want to summit Washington and aren’t sure if they can do it in a day, or those who have already done it and are looking for something new. We get a late start from Pinkahm Notch after going over clothing and equipment needs. This puts on on the summit mid afternoon. After the obligatory pictures and high fives we head inside to prepared coffee and snacks! After settling in and getting comfortable the head of the Observatory staff gives us a brief tour and intro to the building and the scientific work going on in the Observatory. We then have dinner with the whole crew, chatting up the volunteers and scientists and getting great stories. After dinner they were nice enough to open up the museum for us to learn more about the science and history behind Mt Washington. The next day we wake up at a reasonable hour, have a grand breakfast and mosey on down the mountain. Doing the trip this way certainly lessens the technical demands of a usual day hiking up and down Washington. Despite that, its still an awesome accomplishment and an exceptional experience. We book these days far in advance each winter and spots frequently go fast. if you’re interested in joining us next year for one of our two over night Observatory trips ( 1 in Feb, 1 in March) get in touch early! Rope line assistance on the decent. Quest for Adventure – with Jackson and Mike!!! Jackson and I have climbed together since the summer of 2010. It all started on the warm sunny rocks of Rumney, then led to bigger routes at Whitehorse. As the years went by Jackson decided he could not wait until the summer anymore. He was determined to get out in winter which meant he was in for a try on a mountain/ice climb in NH. The NH mountains and ice climbs are no easy task. The winter environment is harsh and the terrain is usually very rough, this all adds up to pretty tough conditions for anyone. Jackson is 10 years of age and for most kids this would not be a fun time. Jackson keeps focused as he climbs up the mountain while maintaining a steady pace. On the ice he climbs like a champ, he overcomes each difficult section one at a time and always going for the top. Yesterday was a huge achievement for Jackson, Mike and I as we ascended the Cleft on a very cold winter day. Jackson never voiced one complaint, he just kept moving up the mountain one kick, one stick at a time. For me it is totally awesome to have this opportunity to work with Jackson – a young climber/skier with a huge Quest for Adventure!!! Three is good company – a fine day in the mountains. On approach to the Cleft on Mt Willard. The Cleft – a deep chasm choked with ice – amazing!!! Jackson and Mike climbing together up the narrow Cleft. The Final top out onto level ground – time for a recharge with hot drinks and food. On our way in to the Cleft we passed a beautiful climb – the Rocket in Crawford Notch. Thanks to Jackson and Mike for closing out 2014 with this exciting day in the mountains. First Sticks – Ice is IN! The winter season is here. It was quite a shift from the warm desert of Red Rocks, Nevada and into to cold of New England. Yet the psyche is high and MMG is is off to a great start. Routes include a few laps on the Black Dike, Standard Route, Shoe String, Kings Ravine, and routes in Huntington’s Ravine. Thanks to all the MMG guides and guests who made the first week of the ’14, ’15 ice season a amazing one. There’s plenty to go around, come and get it! This October MMG founder, senior guide, and guide mentor Art Mooney was the recipient of the 2014 American Mountain Guides Association “Outstanding Guide Award”. As a mentee of Art I have been lucky enough to experience, first hand, the power of his presence and witness the excellence with which he practices his profession. This award is an acknowledgement by the AMGA community of this dedication and his contributions to the profession of mountain guiding. To many of us who know him, Art has represented the best of guiding in the United States. His mentorship of aspiring guides has helped many reach their full potential. His family, friends, and the MMG team couldn’t be more proud Art. We are all very lucky to shared the mountains with him. Thank you are for all you have done and continue to do.